Leaders in Energy has grown into a global network of over 3,000 members, and each one of them has their own story to tell. 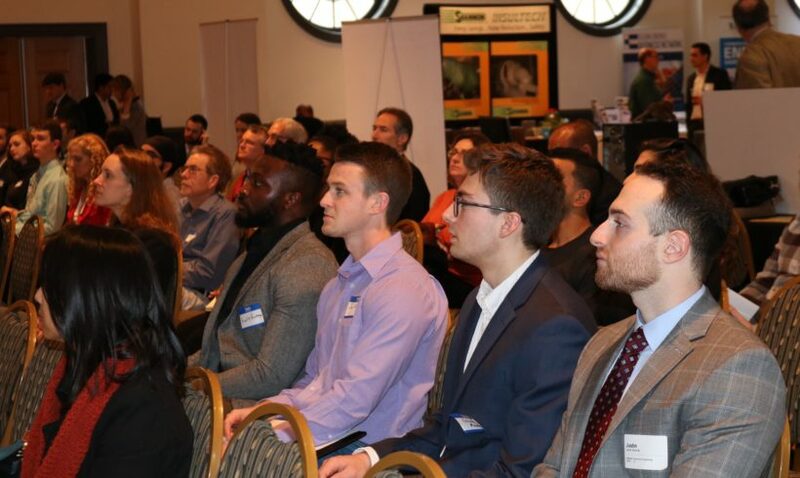 At the 4th annual Clean Energy and Sustainability Extravaganza on February 23, 2018, I had the pleasure of spending some time catching up with a few attendees, including a few new Leaders in Energy members. 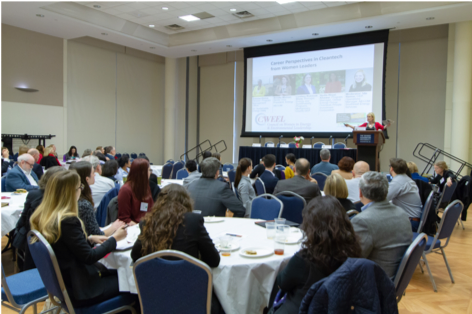 On February 23rd Leaders in Energy held its 4th Annual Clean Energy and Sustainability Extravaganza at the University of Maryland. 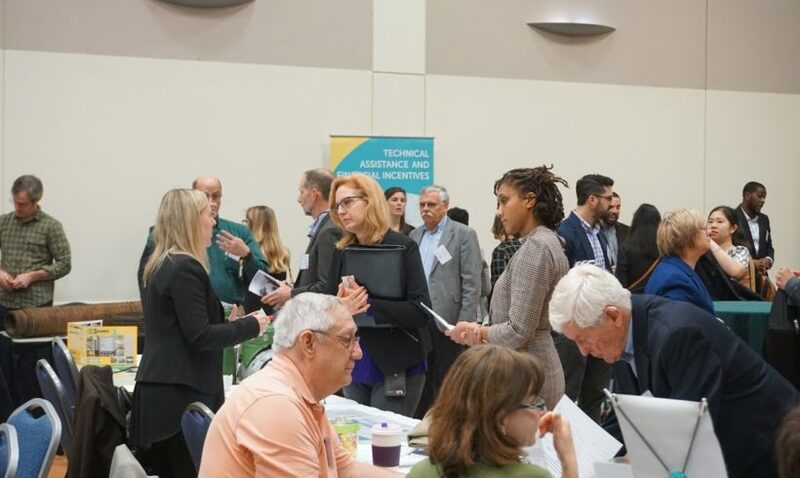 The three-part event was a great forum for attendees to learn about exciting new developments and key challenges in clean energy and sustainability. 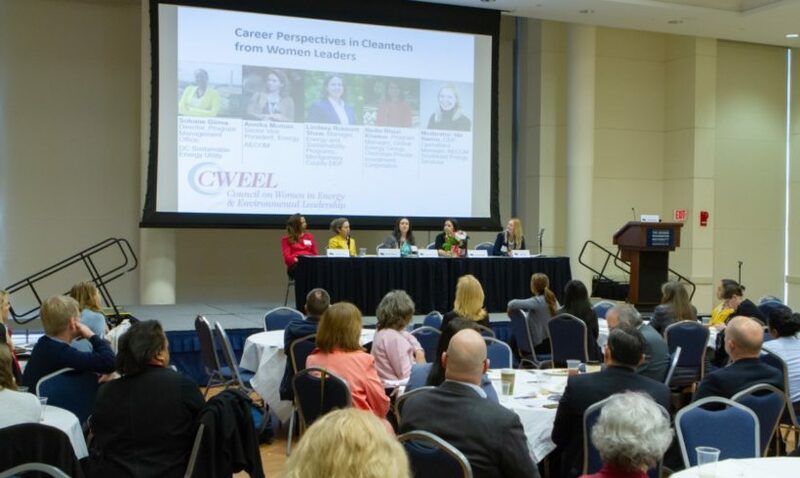 The Extravaganza kicked off with a luncheon panel for the Council on Women in Energy and Environmental Leadership (CWEEL) on Career Perspectives in Cleantech from Women Leaders. 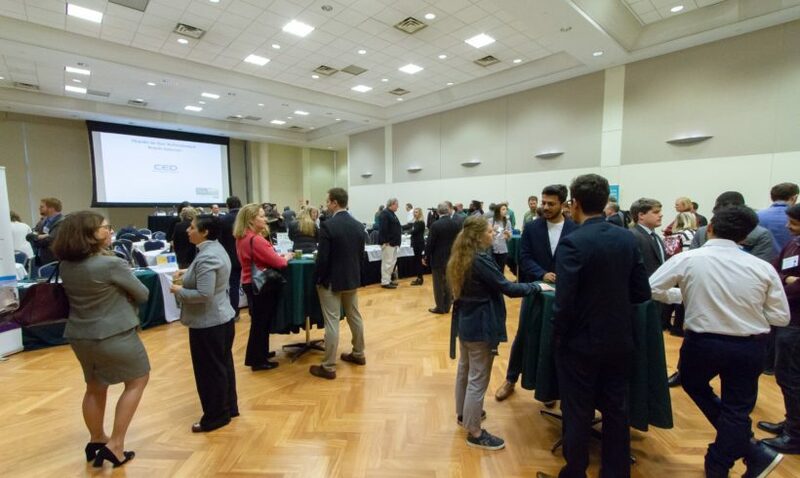 The event continued with an all-day exposition and cleantech exhibits, as well as a University of Maryland Showcase and a Business Showcase. The final part of the jam-packed day was an evening reception, generously sponsored by Lockheed Martin. 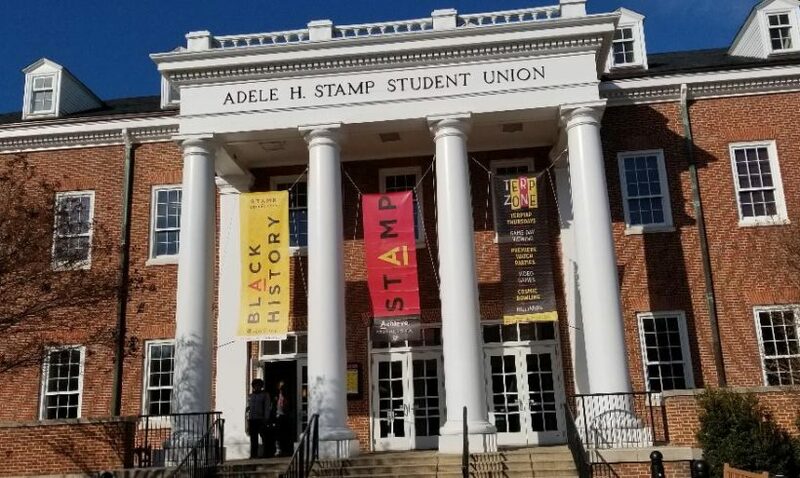 At the fourth annual Energy and Sustainability Extravaganza at the University of Maryland, College Park (UMD) on February 23, 2018, attendees learned about the types of services and products offered by private sector companies to promote sustainability. Moderated Dr. Lynn Abramson, Executive Director of the Clean Energy Business Network (CEBN), there were two panels featuring representatives from a total of eight companies. 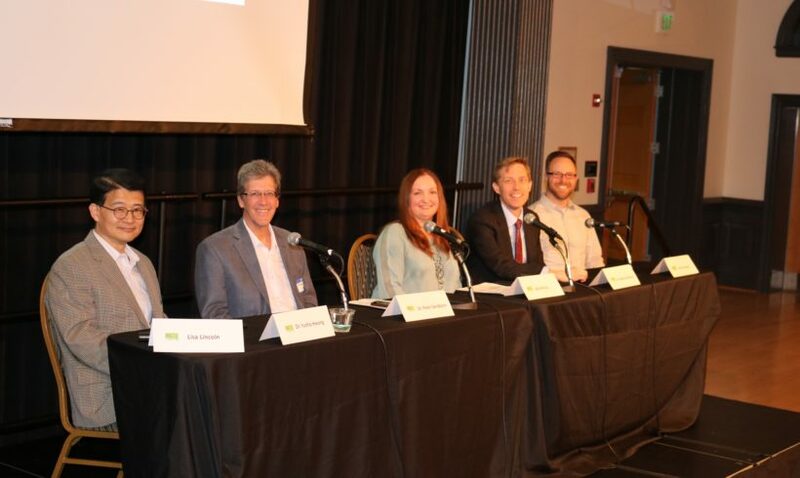 The first panel featured green building solutions, and the second panel covered clean power and transportation solutions. 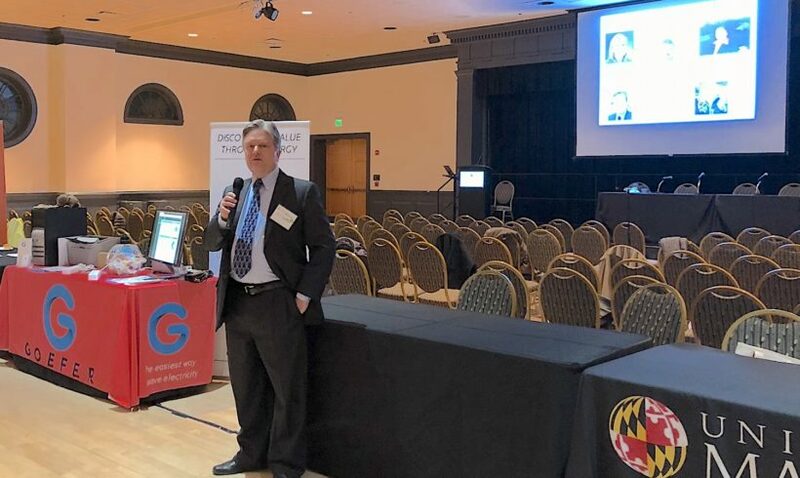 The University of Maryland showcased its clean energy initiatives at the 4th Annual Energy and Sustainability Extravaganza on February 23, 2018. 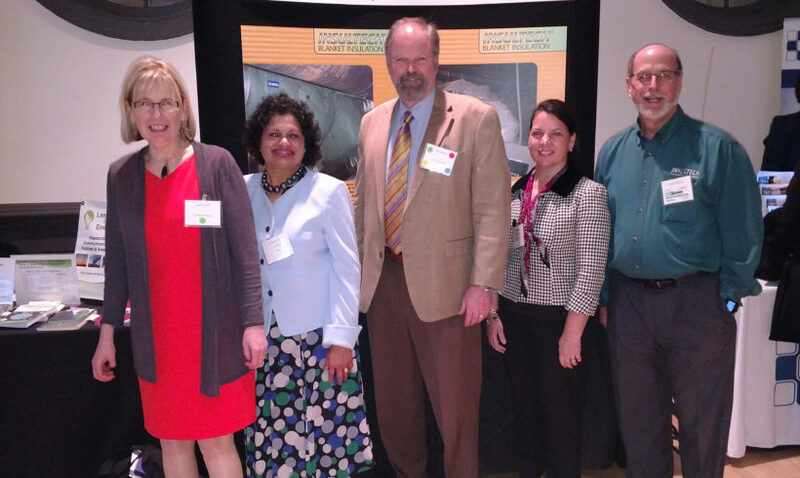 The panel consisted of distinguished faculty members who are either leading critical research in the university or managing sustainability initiatives on campus. The panel was moderated by Lisa Lincoln, Executive Director, Prince George’s Green. Panelists were Dr. Yunho Hwang, Research Professor and Associate Director, Center for Environmental Energy Engineering; Dr. Peter Sandborn, Professor and Director, Maryland Technology Enterprise Institute; Alla McCoy, Innovation and Economic Development, Division of Research, President’s Office; Dr. Nathan Hultman, Associate Professor and Director, Center for Global Sustainability, School of Public Policy; and Mark Stewart Senior Sustainability Officer, University of Maryland. Want to Live in a More Sustainable World? Leaders in Energy is a dynamic ecosystem of industry thought leaders and citizens who are actively creating a more sustainable world. 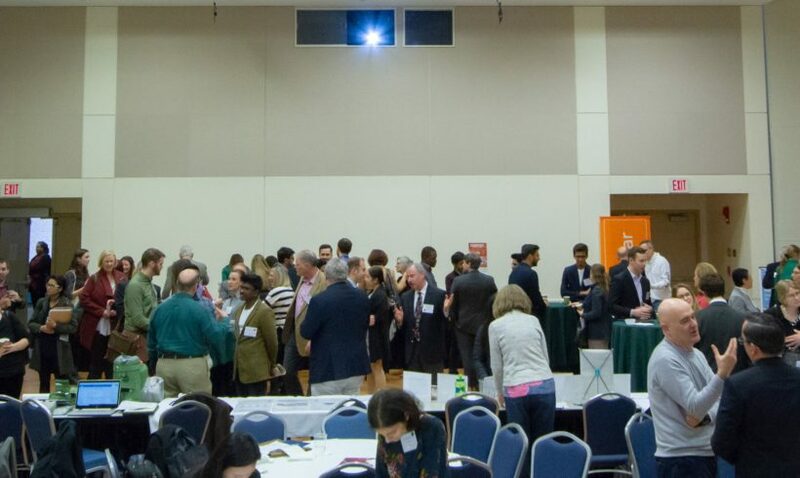 February 23 is our annual Energy and Sustainability Extravaganza, this year at the University of Maryland. This annual event (our 4th) will be of direct value to Energy Managers / Facility Managers / VPs of Operations ... anyone who cares about optimizing how their respective organizations run. It will also appeal to those interested in electric cars, green building solutions, and solar energy. We provide a venue to network with others related to job opportunities and projects.